(AP Photo/Steven Senne) Attorney General Jeff Sessions speaks at a luncheon event organized by the Boston Lawyers Chapter of the Federalist Society, Monday, Oct. 29, 2018, at a hotel in Boston. Sessions spoke about religious liberty during his remarks. Boston • Attorney General Jeff Sessions called the shooting that killed 11 people at a Pittsburgh synagogue an “attack on all people of faith” Monday, saying targeting people because of their religion will not be tolerated. Sessions’ remarks came during a discussion in Boston on the importance of protecting religious freedom, which the Methodist and former Republican senator from Alabama has made a key part of his Justice Department’s agenda. “This was not just an attack on the Jewish faith. It was an attack on all people of faith. It was an attack on America’s values of protecting those of faith,” Sessions said at the event hosted by the Boston chapter of the Federalist Society at the Omni Parker House. Federal prosecutors said Sunday they’re asking Sessions to give them the green light to pursue a death penalty case against the suspected Tree of Life Synagogue gunman, Robert Bowers. Sessions’ remarks were briefly interrupted by religious leaders protesting the Trump administration’s policies before they were quickly escorted out by police. 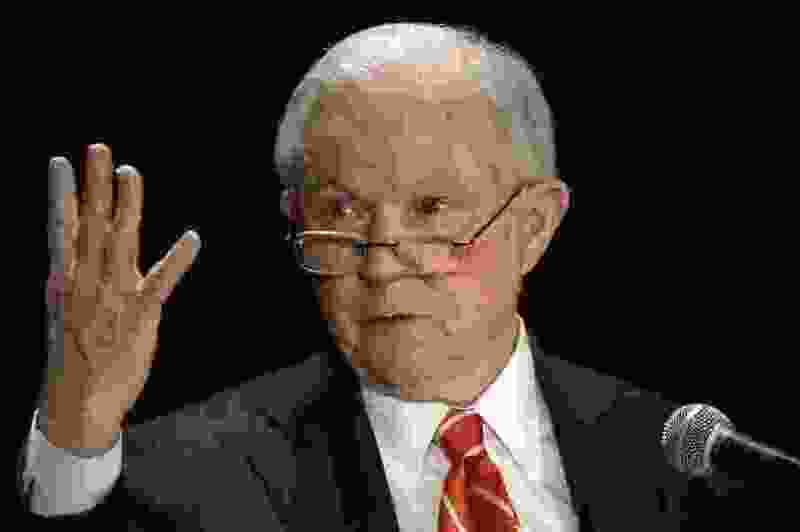 Sessions, who in July announced the creation of a “religious liberty task force” to implement Justice Department guidance on accommodating religious beliefs, said the Trump administration will continue to fight against what he described as efforts to erode religious freedom protections.